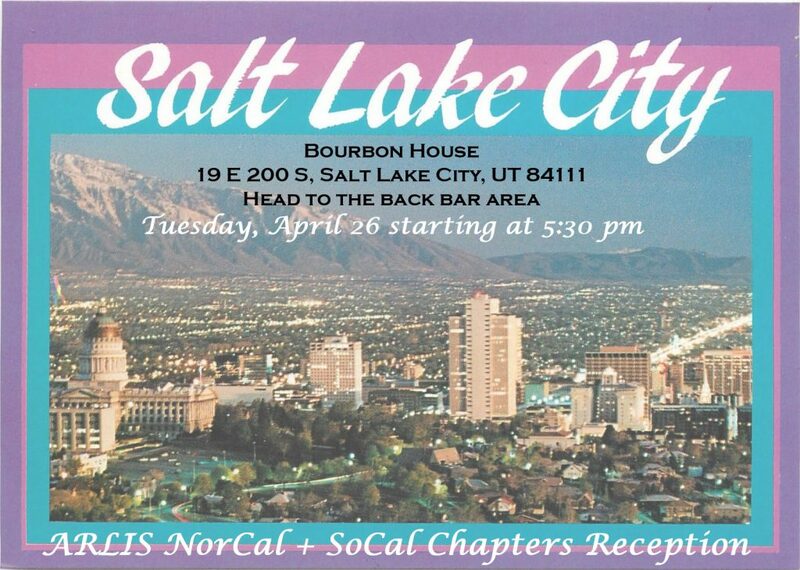 The Northern and Southern California chapters will be holding a joint meeting and a joint reception at the ARLIS 2018 annual conference in NYC on Monday, February 26th. We hope to see many of you at one or both gatherings! We will have three large communal tables reserved at the front of the restaurant and signs for easy identification. Special thanks to Jennifer Kishi for taking care of all of these arrangements. Please feel free to reach out with any questions to either Abby Dansiger, Northern California Chapter Chair, at adansiger@famsf.org or Jennifer Kishi, Southern California Chapter Vice-Chair/Chair-Elect, at jenkishi@gmail.com. The long awaited ARLIS Southern California Chapter Fall 2017 meeting will be held on Tuesday, November 28, 2017, 5pm–7pm at USC Libraries’ ONE National Gay & Lesbian Archives. Founded in 1952, ONE Archives currently houses over two million archival items including periodicals, books, film, video and audio recordings, photographs, artworks, organizational records, and personal papers. Due to space constraints ONE archives can only accommodate up to 25 attendees. Please respond by November 21, 2017. Agenda forthcoming. Our chapter meeting is scheduled for Tuesday, March 9th from 7:30am to 8:30am in the Grand 3 Ballroom (The Seattle Westin 1900 5th Avenue, Seattle, Washington 98101). For more information visit the conference schedule. See you there!